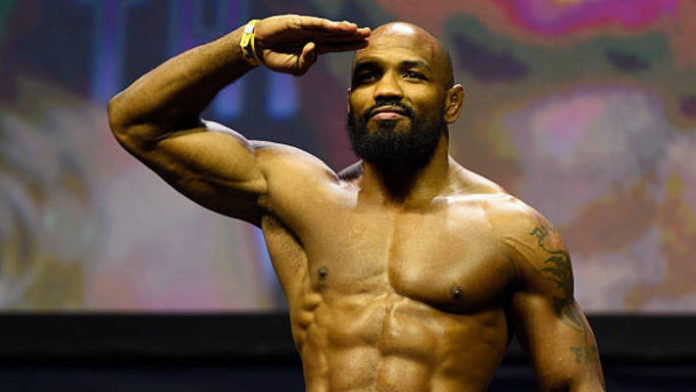 Yoel Romero responds to Luke Rockhold’s recent comments. Romero and Rockhold did battle earlier this year. The bout was to be contested for the interim Ultimate Fighting Championship (UFC) middleweight title. Instead, the title was only up for grabs for Rockhold because Romero missed weight. “The Soldier of God” ended up knocking out Rockhold in the main event of UFC 221. Rockhold is scheduled for a rematch with Chris Weidman. The two will collide on Nov. 3 on the main card of UFC 230. The action will be held inside Madison Square Garden in New York City. Rockhold earned a TKO win in their first encounter to capture the UFC middleweight title. The UFC hoped to book Romero on the UFC 230 card as well. Paulo Costa vs. Romero was the initial plan, but “The Solider of God” couldn’t recover from his injuries in time. The promotion then tried booking Romero vs. Alexander Gustafsson, but that too failed to materialize. If Yoel Romero and Luke Rockhold fought again, would the outcome be the same?